Communities Marketing Question: Is Yahoo's Web Webbing? Two questions about communities marketing with different answers, just to my surprise! But, this approach to this specific topic may surprise you too, if you were concerned about such topic. The most surprise that may hit your head is how to use even images to market to communities indirectly? At Twitter, you may think that is simple. No, it is not unless you find a way to design images with effective messages and links pointing to where followers and other readers could read more about what interests them and unless you follow good internet marketing strategy to drive free website traffic. The same thing goes with pinterest.com, or you'll lose everything in the image exposure game. It is not a game, anyway. It has more techniques, as you could see through the Ezine Acts Galleries, the Ezine Acts Photo Gallery, the Ezine Acts Pictures and Pictures for Your Website. Even a simple image like the following could give your more ideas about communities marketing through image content. Use your mouse to read the image attribution and to pin it, so you could see where that ends. This is one of the tails of communities marketing. Communities Marketing: Journalist Khalid Osman writes about communities marketing. It is always right to avoid direct marketing in online communities. Well, contrary to this you know very well that you need to market your home based business to your community offline using different methods including bulletin boards, classified ads, discount cards and freebie ad magazines. So, why not do the same with online communities? Yes, some online communities prohibit that. You are not allowed to market. But, that doesn't mean you cannot do it. There are many ways to market your small business using online communities despite the forbidden barriers, as explained through the Ezine Act's Business Strategies Cat. This is a real cat at the Ezine Act to market to communities online and make your own blogging just more than blogging for pleasure. I in fact wrote the following article below the second headline concerning a community that has been online for a while, then yahoo acquired it and ran with it for a time and then suddenly, Yahoo closed that community. I didn't find myself obliged to remove the article about that community, though. I thought instead I should make it better by this preface and then by adding some dotes to it to add to your knowledge something useful about communities marketing. This is one of the business ideas I have here, with some more ideas at Collective Consulting Services and Digital and Video Products. So, consider it with this volume at this value, not more. You don't need to market to communities hard and directly. Instead of doing this, presell yourself in so many ways. One example is at the image above and at the image pages and almost most of the pages including Email Marketing Media and the communities marketing strategies at Site Build It. For examples, you will be in fact marketing to communities when you presell your knowledge. Add to this, presell your hobby, presell your expertise, including even personal experiences, presell your passion and presell even your joy and things that interest you. But, not only in textual context, you can do that with images and videos too. There are some ways to use images and videos, as explained at the Ezine Acts Game Site and the Ezine Acts Video to market to communities that host videos and images, without mentioning anything about marketing. Now here is the given article about communities marketing and Yahoo's web. I hope you will enjoy it. If you found the page useful, please tweet, or like, or share it with your communities, or pin the pictures. I appreciate any of the mentioned steps. To your joy. However, it seems interesting question to bring your attention to this development at Yahoo's atmosphere, although the experiment is not new. What is new is what I have discovered. I am addicted to some kinds of humour. Therefore, I will show you how. Therefore, the tech staffs at My Blog Log used the gravitation theory while doing Communities Marketing to symbolize personal circles of influence. Personal circles of influence attract traffic too. However, I do not know why this process has stopped! I wrote this article while that network was prosperous. Then as I mentioned at the preface, I added this note on this paragraph here, because I did not want to delete the COMMUNITIES MARKETING page. I observe good traffic to it and I reckon, it could help do communities marketing with alternatives to Yahoo's community. In addition, it could help you build other communities marketing through different platforms. They (at Yahoo) do this by only getting people together and then enable them to connect through different electro-web means to send smiles to each other in relevant atmosphere of work experiences. A smile from a friend in this community makes a circle of activities fall like roses in your Internet garden. Since roses fall there at your Bloglog platform, you may think you will not get some roses to fall in your own gardens. The question that may rise in your head right now is how to get some of those roses to fall in your own gardens. Let us pursue with these metaphoric lines. You will actually plant some seeds there by creating good and targeted listing and gardening your web addresses. I consider going with your niche there is better than to plant every website you own. Consider adding niche seeds to your sites there. When you choose contact for your contact column and when you choose communities to add to your communities, follow the same niche-direction. You do not need of course to add whatever contact or communities there. That may be hurtful and a waste of time. You can find contact and communities through the communities' link or through the search tool at the top of your platform. You may need to enter keyword terms that aim to your niche too. However, you will see from the beginning some actions in your board when you move from section to section. Click on those you see and check if they are your niche marketing's potential contacts or communities. When you found big communities make sure they are running the same niche you are running. You need not to join a community just because it is big. You have options also to bring your services like Technorati, Del.icio.us, Digg, Youtube, Twitter, StumbleUpon and others there. When you run any activities to plant seeds on your own web-gardens, those efforts will run all the way to appear on all those different platforms, and they will appear at your community. There are two options to use this platform by having free or pro account. However, I think Yahoo may need to think of mutual benefits when you give your time to grow this platform. They may do this through the top trafficked platforms to share revenues with high performing communities. Be updated at this point by following the threads of these articles at the Ezine Act Blog. 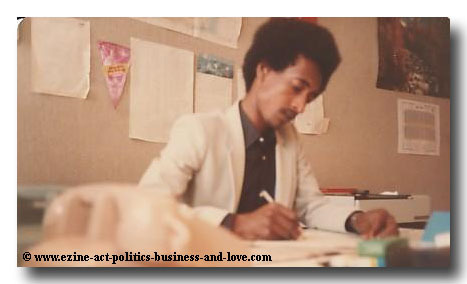 If you knew, write a brief bio of Khalid Osman at HOAs Cultural Project. Hey, you can write about those you know by this name too. There are so many Khalid Osman(s) there in the world. Provide full names, professional career insights and work experiences. One of the most useful and elegant gestures some generous people use while reading useful articles is to support those articles' directories, or those intended to build articles' directories. Buy me double Irish café by only ordering my Arabic Phoenix Poetry. You have two choices there to order it. If you can't read it, you can buy it as a gift of friendship to someone you know, as it has some sentimental lyrics. Share the communities marketing page with your socials and the other services you see on the small buttons on the page. Remember to follow to. Write about your favorite movie at my daughter's iWatchBesTV.com and upload pictures from the movie. Write about your city of birth, or city of residence and upload pictures from it at Any Beautiful City. Looking for more "COMMUNITIES MARKETING"? Just enter "COMMUNITIES MARKETING" on search at the right column. In addition to "communities marketing", you may also be interested in the following subjects in the Ezine Acts Articles (site map 9 A), with its extension into sub-categories, or site maps at the Ezine Acts Articles Section (site map 9 B), the Ezine Act Articles Index (site map 9 C), Ezine Articles (site map 9 D), Submit Articles (site map 9 E) and Submit Ezine Articles (site map 9 F). Most of the Articles are also part of the Ezine Acts Home Business (site map 1 A), Inspirations and Motivations (its map 7 A), with its sub-categories at Ezine Acts Motivational Articles (site map 7 B), Ezine Acts Motivational Sites (site map 7 C), Ezine Acts Inspirational Articles (site map 7 D) and Ezine Acts Inspirational Sites (site map 7 E). The following website building, automating, optimizing and monetizing tools on the image below empower the Communities marketing page and the entire Khalid Osmans Network. Comments on communities marketing appear at the Ezine Acts Comment C2 Entries. Other commentaries on other businesses appear at the Ezine Acts Comments and the Second Section of the Comments. Comments on the Ezine Acts Business Financing, the Ezine Acts Business Publicity and the Ezine Acts Offline Businesses appear at the Zines Commentaries. Comments on Love and Love Problems posted through Love Consulting Services appear at the Ezine Acts Love Commentaries, Ezine Acts Love Entries, Ezine Acts Love Stories and Ezine Acts Sentimental Stories.